Give your style some room to stretch. 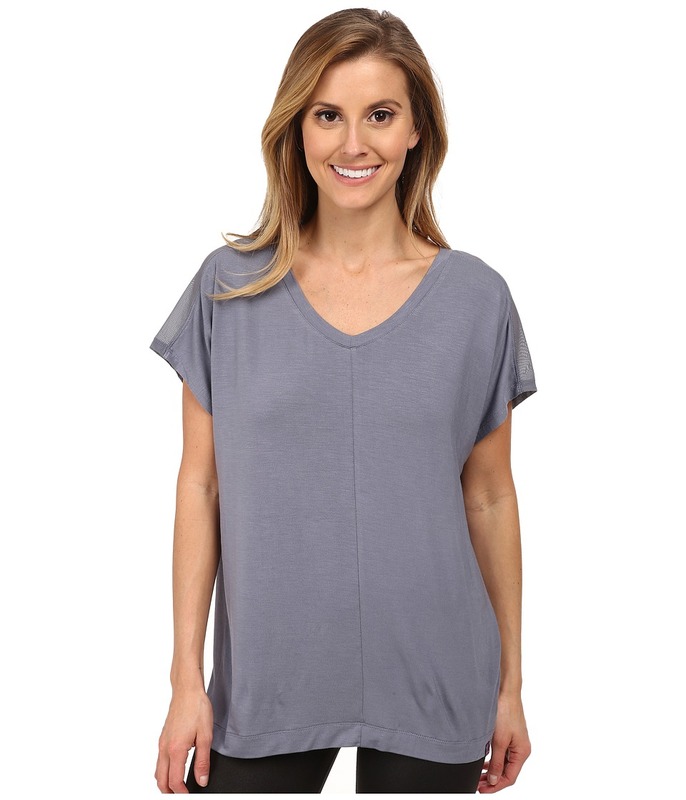 The chic drape and comfortable wear of the Irene Tee makes this an ideal piece from the studio to the street.Superbly soft stretch modal knit complements the relaxed, draped fit.Sheer mesh panels accent the shoulders.V-neck.Dolman cap sleeves.Extended hem.Body: 95% modal, 5% spandex. Mesh: 95% nylon, 5% spandex.Machine wash and tumble dry.Imported. Measurements:Length: 26 inProduct measurements were taken using size SM. Please note that measurements may vary by size.